Great Basin Scientific, Inc. Sandra Nielsen Senior Vice President of Sales, Marketing & HR, you’ll find on the 2016 Women worth watching award winners. 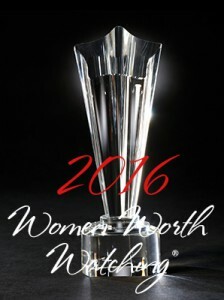 Profiles in Diversity Journal today proudly announces the winners of the 15th Annual Women Worth Watching Awards®. In celebrating the 15th year anniversary, there have been 162 nominations selected as 2016 winners. These leaders join the ranks of thousands of past winners, several whom have gone on to become CEO of fortune 500 companies. While countless others have moved forward to lead new business units, drive new markets, launch new ventures, and help develop the next generation of women leaders. “Collectively, these women are forging ahead with global acclaim in strategies that are making a difference in their workplace, marketplace and around the world,” PDJ Publisher James Rector said. “These leaders bring an array of life experiences and views that consistently produce a variety of new concepts and ideas,” he added. © 2019 Great Basin. All Rights Reserved.